Firefox users: The latest version 2.0.0.3 is out! 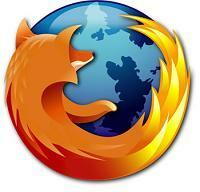 The latest version of Firefox, namely Firefox 2.0.0.3 is now available. It is recommended that all Firefox users upgrade their browsers toexperience the full functionality and features of their cyn.in sites. There have been a few issues while using cyn.in with the previous Firefox version 2.0.0.2. The new Firefox 2.0.0.3 update fixes these niggling aberrations that were hampering a flawless user experience for cyn.in users. So in order to get optimum value out of your favorite cyn.in site, it is necessary that you upgrade your Firefox browser. In case of any inconsistent behavior with any browser, do not hesitate to post in our forums.